It can be difficult writing a letter asking about work experience, an internship, or legal career openings. Especially if the firm hasn’t specifically stated that they’re open to receiving applications. Sending a speculative enquiry is however a great way to find out about potential legal jobs openings / work experience vacancies which aren’t advertised. And if they aren’t advertised you’re more likely to be successful. Let’s have a look at the general layout of the letter you can send and why exactly this method can be so successful. The actual letter shouldn’t be too long. Your CV should do most of the talking. Your goal is get a meeting or interview with someone (preferably a parter) at the firm. If the letter looks too long they may skim read it or not even bother reading it at all. Try and make it a ‘best of’ your work / academic history to get them interested. Don’t use this as a template, more a rough guide. Modify it depending on the exact role you want. I am writing to enquire about any [work experience / paralegal / internship] openings you have available at [firm]. I am immensely passionate about a future in law [explain why you’re interested in law, this can be academic based or from the working world. Here is a good place to mention academics]. Recently I have been [mention relevant recent experience here along with duties, this should be in your CV so too much detail isn’t needed]. Thank you for taking the time to read this letter, if there are any suitable roles available or you have any questions, please do not hesitate to get in touch. I have included my CV for your consideration. And that’s about it at this stage. Personally I believe researching the firm in detail and putting this forward in the letter would be an inefficient use of time. They may not even have vacancies at this stage! Keep it short and sweet. It may increase your chances of getting a reply if you send a physical printed out copy of the letter. This is based off personal experience and the experiences of others. Physical letters are harder to ignore, with an email it can be deleted with the click of a button. Address the letter to the partner of the firm ensures the letter will go directly to them. 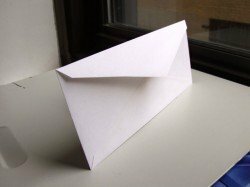 There is less chances of your letter getting lost this way. Direct is always the best route. There is also the chance that your letter will be kept on record in the office. This is better than your CV being saved somewhere deep inside the computer of a legal secretary. Remember to sign the letter to give it that personal touch. Also include a picture of yourself and some glitter stars to really grab their attention. That’s a joke. Don’t do that. It great for all job roles & enquiries really. A speculative paralegal, legal secretary, training contract or work experience enquiry can work. It’s not really about a magnificently worded cover letter but pure luck and numbers. Some figures state that as much as 80% of jobs aren’t advertised online. So it’s a good idea to send out as many cover letters as you can. Send them out in batches of 10-20. If you’re unlucky send out another batch. If one of those firms thinks “oh we were just looking into recruiting a paralegal, that was handy!” or “we’ve never taken on a work experience student before, but with all that work coming up it could be a good idea…” then you’re in with a great chance. The good thing is you don’t need to modify the above letter much for each new firm you apply to. Just make sure you change the firm names & contact details properly or it could get embarrassing!